The S390H is a robust scarifier that gets results. Scarifying is a vital part of maintaining a garden whilst promoting the grass growth that gets you the perfect lawn with a vivid green grass. By making precise cuts in the ground, scarifiers loosen the soil that allows grass to properly access the nutrients it needs to be healthy - which doesn't happen when the ground is hard and solid. You can manual scarifier or aerate soil with digging tines, but for anything larger than a small area, this is tiring and hard to do with any sense of consistency. Cobra's S390H removes this from the equation entirely - powered by a Honda GP1160 engine, the machine will easily scarify even large areas effortlessly. 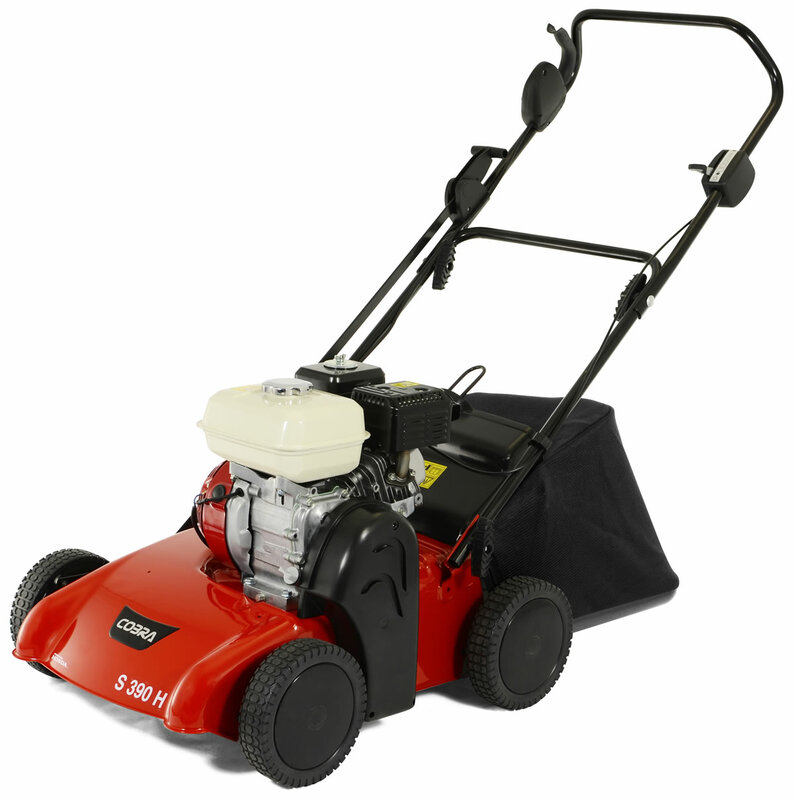 Ergonomically designed, the S390H is comfortable to use even over long tasks, and a moderate working width of 15 inches ensures that the scarifier is wide enough to cover large areas in a single motion, yet compact enough to navigate complex garden layouts.